Google to police new app developers more closely - M9 Engineering Group Inc.
Android developers new to Google’s phone platform could have publication of their apps delayed for days as more rigorous checks are done on coders. 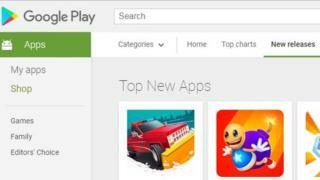 Google said it was stepping up checks on app-makers it had not seen before to thwart “bad faith” developers. These malicious developers often create new accounts to avoid Google’s checks, it said. One cyber-security company said it expected the move to “have a positive impact”. “We find that malware authors often change their account information to conceal their identities,” commented Kristy Edwards, from security company Lookout. The “more thorough” checks will be done on application creators who do not have a “track record” with Google, wrote Sameer Samat, product manager for Android and Google Play. Google would be taking days to investigate developers who open new accounts to see if they have links to “bad faith” developers who have a history of making malicious and unsafe apps, he said. It was common to see such developers try to “game” Google’s systems to get around the existing controls, he said. It has also insisted that app makers ensure their programs work with the latest, most secure versions of Android’s application programming interfaces (APIs) . Currently, app makers are supposed to target at least Android 9’s APIs, which was released in August 2018. “Users want more control and transparency over how their personal information is being used by applications, and expect Android, as the platform, to do more to provide that control and transparency,” it told the BBC. The increased scrutiny of developers was part of a “comprehensive look” it was giving to Android’s platform and policies, it added. Google’s app developer changes come just ahead of its annual developer conference IO that is due to take place on 7 May.